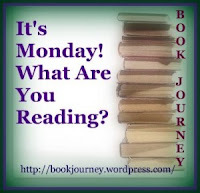 Well, I had almost no time for either reading or writing blogs this week (apologies to those I didn't get to!) because my son had knee surgery on Monday. His recovery has been slower and more difficult than we expected, so I have been entirely focused on taking care of him. 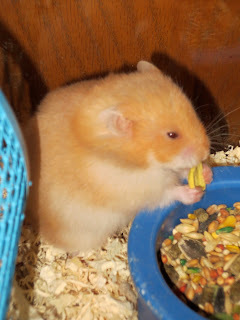 We were both getting a bit stir-crazy, though, by the end of the week, so I took him the pet store to pick out a new hamster. We had one several years ago - our beloved Teddy - and he's been asking for another, so now he has a little buddy to keep him company while he recuperates. After an awful week, a visit to the pet store put a smile on Craig's face! Meet Lola, our newest family member! The last big book I read for the Big Book Summer Challenge was 11/22/63 by Stephen King. I saved the best for last. It has been years since I’ve read a King novel, and I had forgotten what an amazing writer he is. 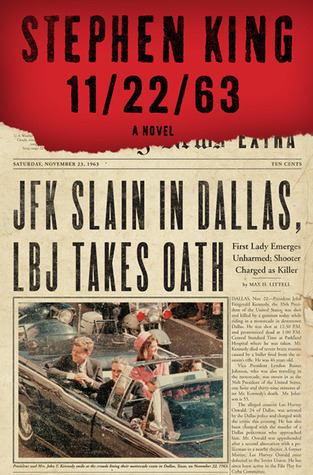 11/22/63 defies categorization and crosses genres with elements of suspense, romance, science fiction, and a hefty dose of historical fiction all mixed together into a compelling story that I never wanted to end, in spite of its 850-page length. Jake Epping is a pretty ordinary guy living an ordinary life – 35 years old, recently divorced, and working as a high school English teacher – until his friend, Al, shows him a portal to the past and convinces him to take over Al’s mission: to go back in time and prevent John F. Kennedy’s assassination. Jake agrees, with his own motivation to tinker with the past so that he can stop the gruesome murders of another friend’s family that resulted in the friend’s permanent disability. The portal opens up into a summer day in 1958. Once Jake travels back to 1958, he becomes George Amberson and immerses himself in that past world, first in Derry, Maine (yes that Derry, recognizable to anyone who read King’s horror novels in the 80’s!) and then in the small town of Jodie, Texas, where he waits for a young loner named Lee Harvey Oswald to make his appearance in nearby Dallas. But Jake’s single-minded goal to change history for the better is complicated by his new life in Jodie, where he gets a teaching job, changes students’ lives, and even falls in love. George leads a double life, living and loving in Jodie while making trips up to Fort Worth and Dallas to keep an eye on Oswald and try to determine whether he did, in fact, act alone. However, as George often reminds us, the past is obdurate and doesn’t want to be changed. The novel is filled with action and suspense, as George fights against each setback and spies on Oswald and his family and friends to gather the information he needs, but it is also a historical novel, with details of George’s new life in the past. I happen to be a huge fan of time travel stories, and this is one of the best, for exactly the reason I like all time travel plots: it is incredibly thought-provoking, pulling the reader into complex considerations of cause and effect, consequences and reasoning. Does the end justify the means? What will happen 50 years from now if a minor change occurs in the past? Lots of minor changes? What about a major change, like saving the President of the United States from a gruesome murder that devastated the nation? George struggles with all of these issues, bringing the reader along on a rollercoaster ride of emotions and decisions. This would be an excellent book for a book group to discuss - you could be there for days debating the pros and cons of George's choices! This novel works on so many levels. One of King’s most spectacular talents has always been his in-depth, realistic characters, even back in the days when he wrote mostly horror novels. When I read It in 1986, I was blown away by the way King was able to write from the perspective of children. How could an adult so accurately recreate what it was like to be a kid? He brings that same talent for creating real-life characters to 11/22/63, so you come to care about the novel’s characters and feel as if they are your friends. 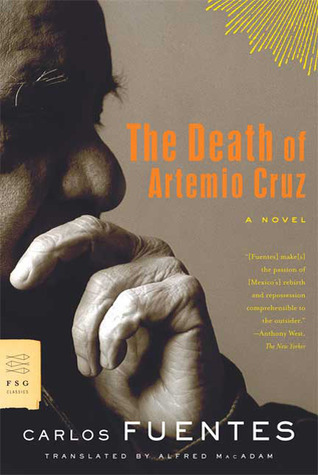 The historical aspects of this novel also add to its powerful appeal. King not only recreates the events of 11/22/63 (thanks to painstaking and thorough research), but he recreates an entire era. Much of the novel is about the details of George’s daily life in the late 50’s and early 60’s; the reader is immersed in that time period, just as George is. I found it interesting that, while I was reading this book, several people remarked to me, “Oh, I don’t read Stephen King” or “I don’t like Stephen King.” I don’t know how anyone could make that kind of statement because his novels of the past 25 years or so are all so incredibly diverse. If you think King writes only horror novels, then you’ve missed out on a lot. Remember these fabulous movies: The Shawshank Redemption, starring Tim Robbins and Morgan Freeman and nominated for 7 Academy Awards; The Green Mile, starring Tom Hanks and nominated for 4 Academy Awards; and Stand By Me, featuring four young boys? All were based on King novels or short stories and none of them was about horror or supernatural events. King is an incredibly talented writer whose novels cover a broad range of genres and topics but are always so compelling that you can’t stand to set them down. And 11/22/63 is one of his best. P.S. If you are into cool book covers, this one is great: the front, as shown, is the front page from a Dallas newspaper from 11/23/63; the back cover shows what that front page would have looked like if JFK's assassination attempt was unsuccessful. Ah, September....fall is my favorite season! Of course, it was in the mid-90's here this weekend and horribly humid, but the calendar tells me that fall is coming. I'm ready! I am almost finished with 11/22/63 by Stephen King. It is soooo good that all I want to do is read all day! Hopefully, I will finish today, just under the wire for the Big Book Summer Challenge! My husband, Ken, is reading Gone Girl by Gillian Flynn, the hot book of the summer, though he isn't loving it yet. Jamie, 18, finished A Feast of Crows by George R.R. Martin (book 4 in the Game of Thrones series). He can't wait to read book 5! He hasn't decided what book to read next yet. And that's about it - I told you it was a busy week! I didn't even get in any audio book time because my son took the car with the CD player to college with him. I did manage a bit of blogging last week. I wrote a review of Okay for Now by Gary D. Schmidt, an amazing middle-grade audio book, and I posted a list of my favorite book podcasts - I hope you'll give some of them a try and let me know about your favorites! It’s Monday 9/24! What Are You Reading?